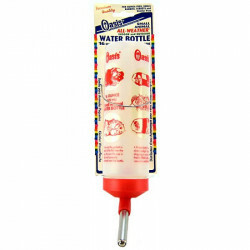 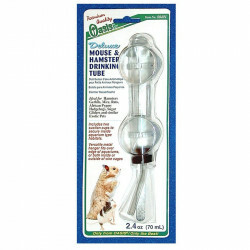 Small pets such as rabbits, guinea pigs, hamsters, chinchillas, ferrets, rats, and mice are very thirsty little critters. 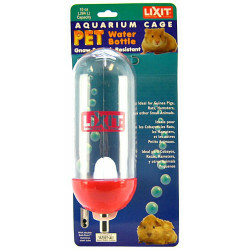 These pets require a significant amount of water throughout the day, readily available in their cages. 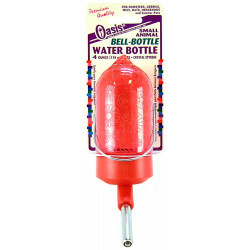 Their mouths are ideally suited to water bottle feeding, with anxious tongues that learn to catch water from the bottle's tube. 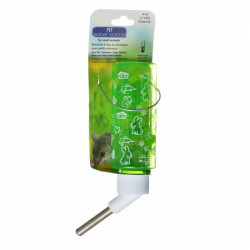 Small animal waterers are made to attach easily to your pet's cage or plastic enclosure, securing to the side at just the right height for your small pet to reach. 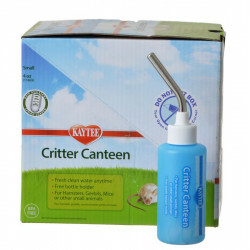 We have waterers for every climate and weather condition, perfectly designed to suit your indoor or outdoor small pet cage. 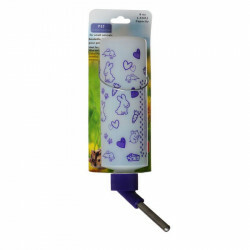 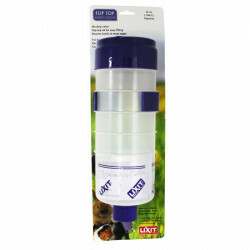 Pet Mountain's Small Pet Waterer store features top quality products from the most trusted names in small pet care, including Kaytee, Lixit, Super Pet, Living World and more. 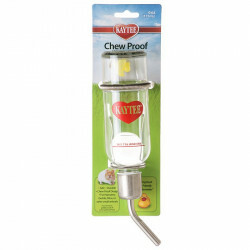 The Kaytee Chew Proof Glass Water Bottle is made of sturdy glass and a stainless steel sipper tube. 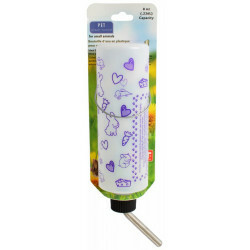 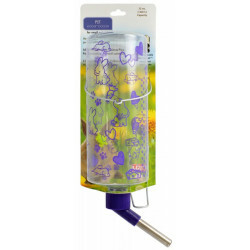 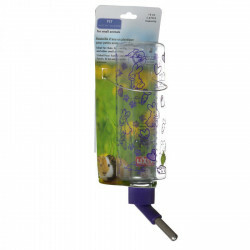 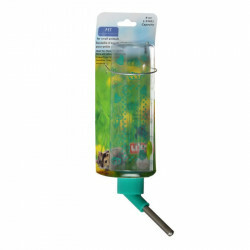 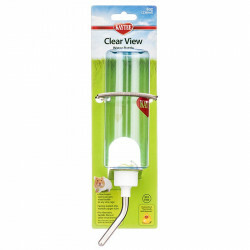 This durable bottle includes a spring attachment hanger and a security hanger to safely hold the bottle to the inside or outside of the pet's (wire) home. 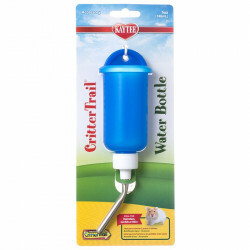 The http://www.petmountain.com/product/gravity-dog-waterers/11442-513257/lixit-lixit-quick-lock-flip-top-water-tank-with-valve.html features a heavy duty quick lock bracket for height adjustment. 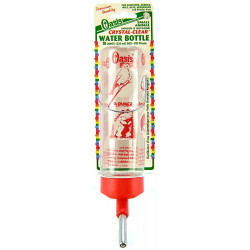 No wires to misplace or lose! 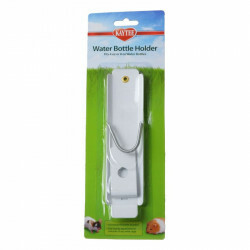 Once the bracket is attached it stays on the cage, and there's no need to remove bottle from your pet's cage when filling it with water. 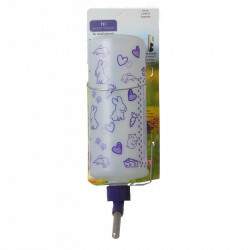 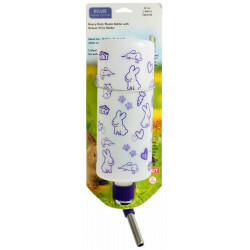 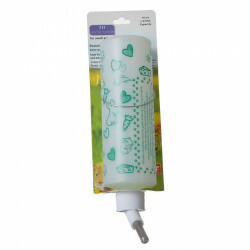 The Super Pet Flat-Bac Premium Quality Water Bottle has been specially designed to be the best quality water bottle for small animals. 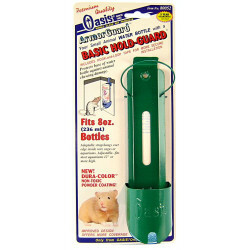 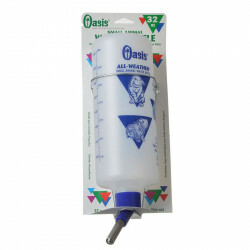 Flat Bac Bottles provide crystal clean fresh water, and can be used for rabbits, ferrets, chinchillas and other furry friends!